As well as the introduction of the 100mpg hybrid, the changes include the addition of more technology, a new look and a new high-performance SVR model at the top of the range. Land Rover has revealed a series of changes to the Range Rover Sport, including the introduction of a brand new plug-in hybrid model. It’s Range Rover’s first plug-in hybrid, and the first new model to be revealed since it was announced that all new Jaguar and Land Rover vehicles will have the option of electrification from 2020. 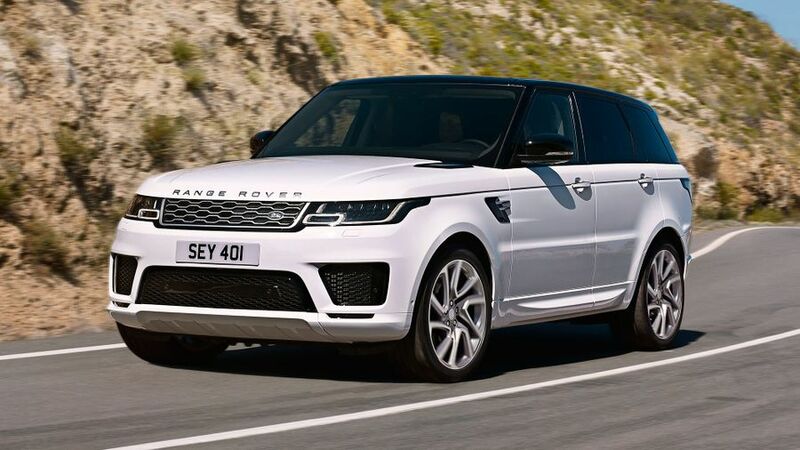 The company has also revised the full Range Rover Sport range, with a new look, extra technology and a range-topping SVR that is the fastest Range Rover ever. The plug-in hybrid – which is called P400e – combines a 300PS 2.0-litre, four-cylinder petrol engine with an 85kW electric motor. Not only will it sprint from 0-60mph in only 6.3 seconds, it achieves more than 100mpg in the official tests and emits just 64g/km of CO2. If offers a range of 31 miles on electric power only with zero tailpipe emissions, and drivers have a choice of two driving modes. Parallel Hybrid mode combines petrol and electric drive, or the driver can choose to run in EV (Electric Vehicle) mode, using only the electric motor powered by the energy stored in the battery. 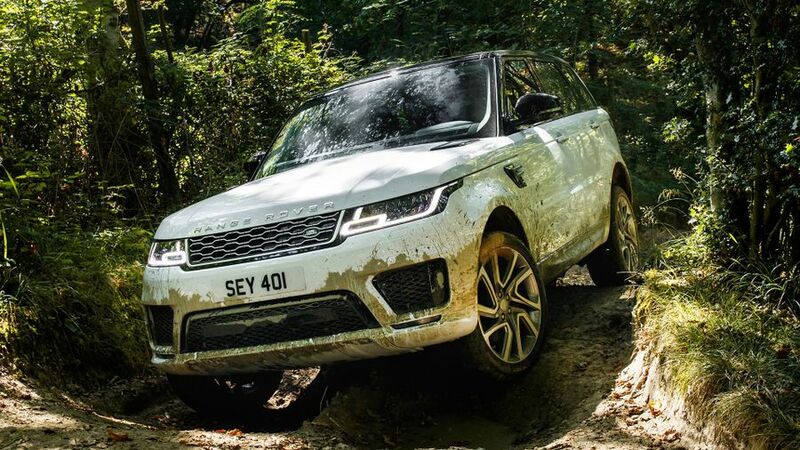 To improve the way the car drives off-road, Land Rover’s Terrain Response 2 system has been specially set up to make the most of the way the electric motor delivers its power and distributes that appropriately to all four wheels. To charge the car, owners plug in the cable at the front of the vehicle, with the socket hidden under the Land Rover badge on the grille. A full charge takes 7.5 hours using a standard domestic socket, but that time drops to just 2hours 45minutes with a dedicated wall box. These changes under the skin are accompanied by a revised look for the car. At the front, the LED headlights, grille and bumper are all new, while the rear lights are new, too. Buyers can also specify optional Black and Carbon Fibre packs to further smarten up the body. Inside, the cabin features two 10-inch touch-screens – much like what you’ll find in the new Velar – as well as new ambient lighting, digital instrument panel and head-up display. There are also up to 12 power points, including two domestic plug sockets, while the introduction of the Jaguar Land Rover ‘Activity Key’ allows customers to lock and unlock their car without having to carry a key fob. And, last, but not least, the sunblind can be opened and closed using gesture control, rather than having to use a manual control. Every model will come with Lane Departure Warning, Autonomous Emergency Braking and cruise control, and with optional packs of equipment beyond that. The ‘Drive Pack’ includes a Blind Spot Monitor, Adaptive Speed Limiter and Driver Condition Monitor; the Park Pack brings a 360-degree Parking Aid and Rear Traffic Monitor; and, most versions will come with air suspension that adjusts the height of the suspension, for instance to improve the aerodynamics at high speeds, to lower the car to make it easier for passengers to get in or out, or to raise it to help with hitching trailers. Prices start at £61,315 for a model with a 2.0-litre diesel engine and HSE trim. If you want a V6 diesel, prices start at £65,145, while the V8 diesel comes only with the top Autobiography Dynamic trim and costs just under £90,000. Petrol-engined models start at £62,650 – for which you’ll get a four-cylinder engine and HSE trim – while the V6 costs £66,715. The hybrid models cost from £70,800, and the most expensive are the V8 models, with the flagship SVR costing just shy of £100,000. The revised Range Rover Sport is available to order now, and deliveries will begin in early 2018. 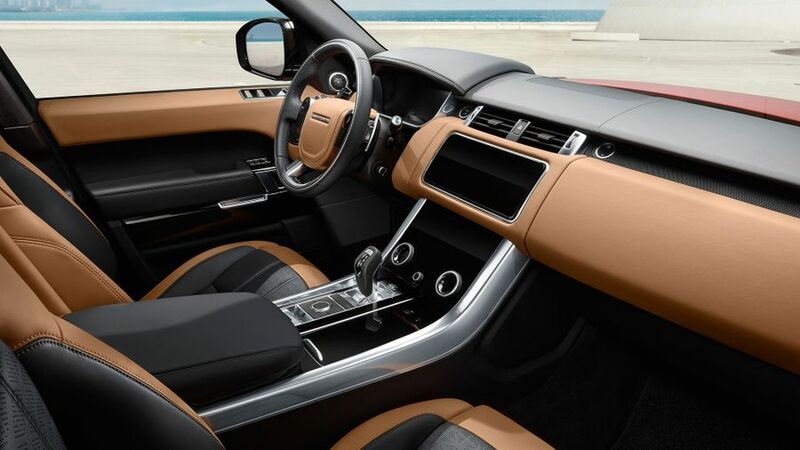 Interested in buying a Land Rover Range Rover Sport?